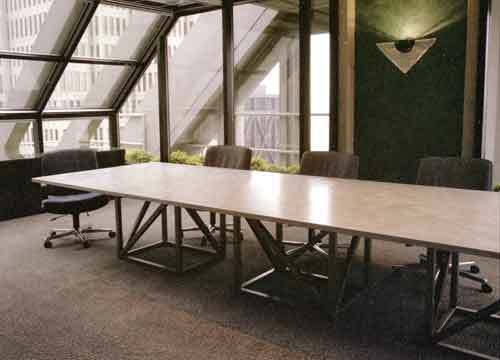 © 1993 This is one of two conference tables that were made for the law firm Lieff Cabraser. 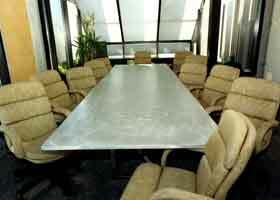 The tables have a ground aluminum top with steel bases. 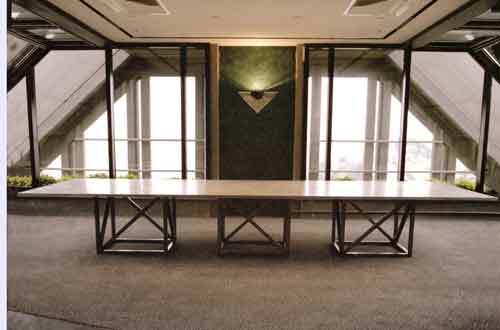 The reception area coffee table below was designed to compliment the conference table. 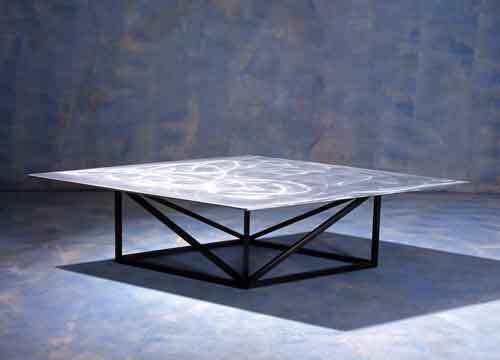 This diamond shaped coffee table has a ground aluminum table top with blackened steel base.